Swordtales, an independent developer from Brazil, and publisher Versus Evil have come together to create a wonderful game called Toren. They are calling it a dark fantasy adventure, and the visuals have taken many cues and inspiration from games like Ico, Journey, and the soon to be released Rime- creating a place of wonder and danger. Just watch the trailer, this game appears to be much more than what it first appears to be. "Toren is a 3D adventure game with beautiful graphics, immersive gameplay, which leads the player through an introspective and captivating journey using the deep concepts like time, religion and mortality. Built around an epic poem, the game takes the audience in an torrent of discoveries about the greatest myth of all. A game to be experienced, in which the player will grow and change along with the tower and its heroes." Swordtales seem to have struck something amazing here- the progression of time. The character, Moonchild (Could that be a call back to Bastion's Mother's name in the NeverEnding Story??? ), even appears to age through the trailer while she is scaling the titular tower, and that sounds amazing. Think of the ramifications of that small act in game. Aging and mortality. The "timeless world of Toren" might have more meaning than the texts from the site let on- and it draws my attention when the character ages in a timeless place. Moonchild grows enough to attack a small dragon and that is something to think about. This game has a lot of potential and I fully look forward to trying it out when it hits PS4. In fact- this, along with Rime, look to be the perfect filler while we all wait for The Last Guardian's re-introduction. 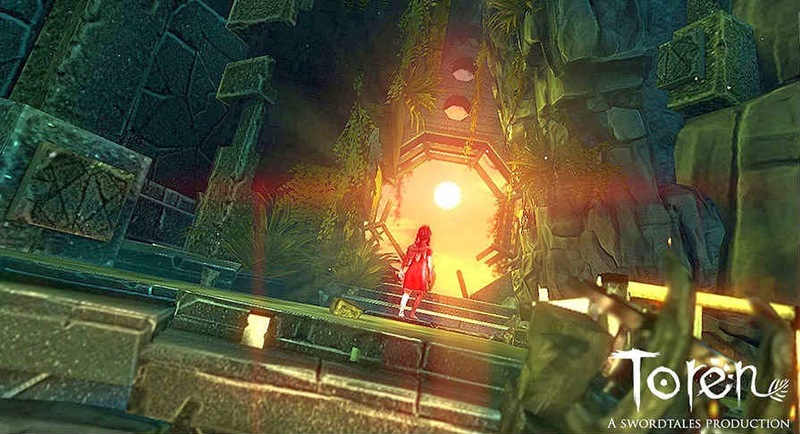 Toren will be available on PS4, PC, Mac, and Linux in early 2015.